"As a patient ages and journeys in and out of a health system, it takes a village to care for him or her as their needs, fears, disabilities, and health change. Gaps are really about relationships between and among patients, providers, and payers. They occur because of a weak or tenuous relationship that deters people from making proactive care decisions. Once patients fall through the cracks, they can just as well disappear or be invisible until it's too late…"
That's why it's critical that organizations strive to eliminate gaps in care. Playing a vital role in achieving this objective is the gathering of meaningful, actionable data. When organizations make a concerted effort to improve the quality of their data, improvements in care should naturally follow. Follow these four steps to strengthen your data collection and the effectiveness of how you use this data. To improve your data collection, you need to know what data you collect, who is collecting it, where it's being stored, and how it's accessed. Once you have painted this complete data collection picture, decisions on how to bolster your data collection should become easier. You can examine whether opportunities exist to eliminate unnecessary redundancy. You can avoid adding unnecessary new data collection efforts. If you're looking to collect new data, you should be able to identify whether there is an existing data collection process already in place where it would be appropriate to add that measure. You can determine whether there are opportunities to consolidate data collection efforts to reduce what is requested of patients and required of staff. Finally, you may identify opportunities to combine data sets for more comprehensive benchmarking and quality improvement projects. Data collection can feel like an arduous task, both for the collectors (your staff) and the individuals providing the data (your patients). If either group questions the need and/or value of the data, the accuracy and completeness of what is collected may suffer. Allocate time to educate your staff members on the importance of the patient data they are tasked with collecting. 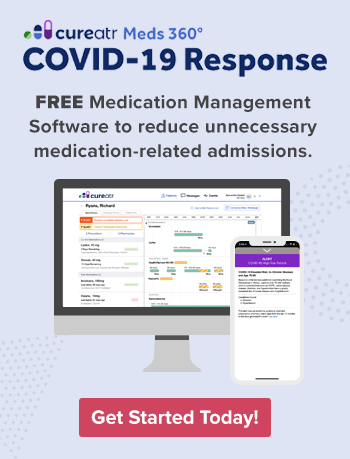 Speak to the data's importance for determining and coordinating appropriate treatment, patient safety efforts, and/or compliance. Also make sure to explain to patients why they are asked to provide personal information that may, to some, seem unexpected or even intrusive. This could include race, ethnicity, education level, and drugs and medications (legal and illegal). Patients should understand the importance of these and other details to ensuring the provision of safe, appropriate treatment. When you ask patients to share feedback on their experience with your organization, inform them about how this information will help identify opportunities for improvement. If your organization has made it a priority to collect patient experience and satisfaction data, that's terrific. Such data can provide tremendous insight into how patients feel about the care they received and their interactions with staff and your organization as a whole. This data can also identify areas to target for improvement. All of this is well and good, but your efforts will become meaningless if what is gleaned from the data is never acted upon. By failing to use what you learn to make positive changes, you are not only missing out on a great opportunity, but the time spent by patients and staff will be wasted. If your organization is struggling to effectively gather, assess, and act upon the data you collect, consider scaling back what you collect to a more manageable quantity. 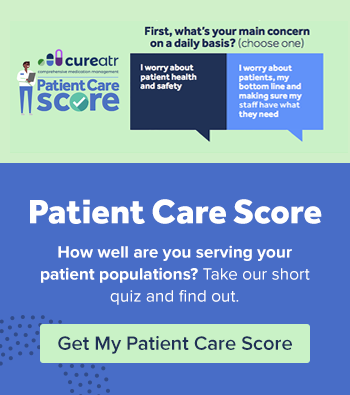 Choose measures likely to provide meaningful information on those areas you feel are of greatest importance to safety and outcomes (e.g., medication reconciliation, care coordination, communication) and/or those where you have identified potential problems or concerns. When data is poorly integrated between entities that share the responsibility for patient care, there is an increased likelihood of errors and omissions in data collection. Furthermore, poor integration can contribute to a lack of organized data that makes effective analysis and comparison more difficult, if not impossible. Organizations should assess data flow between their information technology (IT) systems and entities and then determine areas and methods for improvement. Note: Ensure any changes aimed at improving integration do not do so at the sacrifice of efficiency and patient privacy.